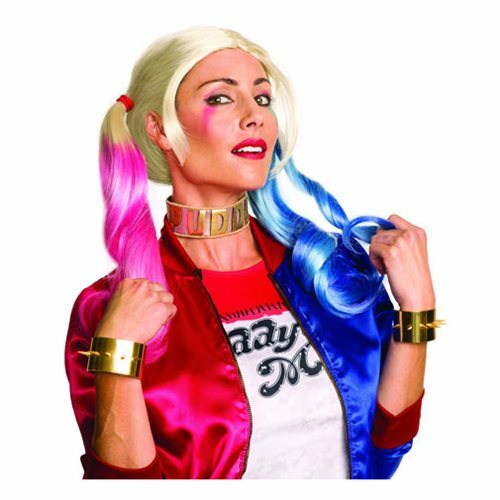 The Suicide Squad Harley Quinn Jewelry Set includes a choker and two bracelets, wig not included. Bracelets measure approximately 2 1/2-inches wide with a height of 2-inches. Ages 14 and up.